This colourful rainbow alphabet printable is a fun addition to your springtime literacy activities and helps children recognise the upper and lower case forms of our alphabet. 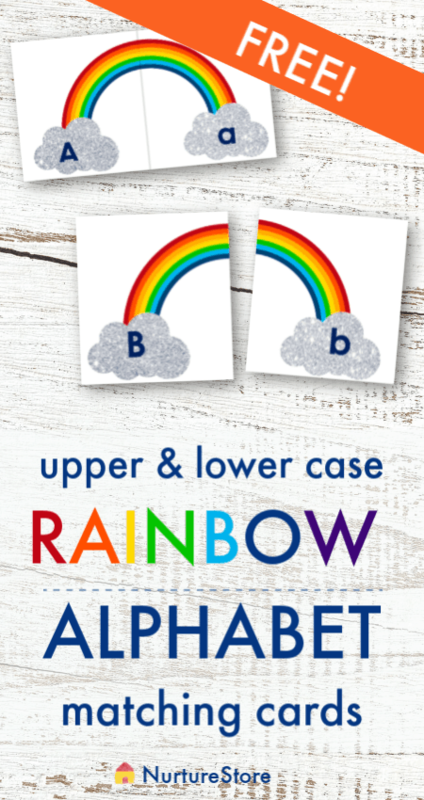 You can use the free rainbow letters printable at home or in class to support children beginning to write letters and learning the order of the alphabet. 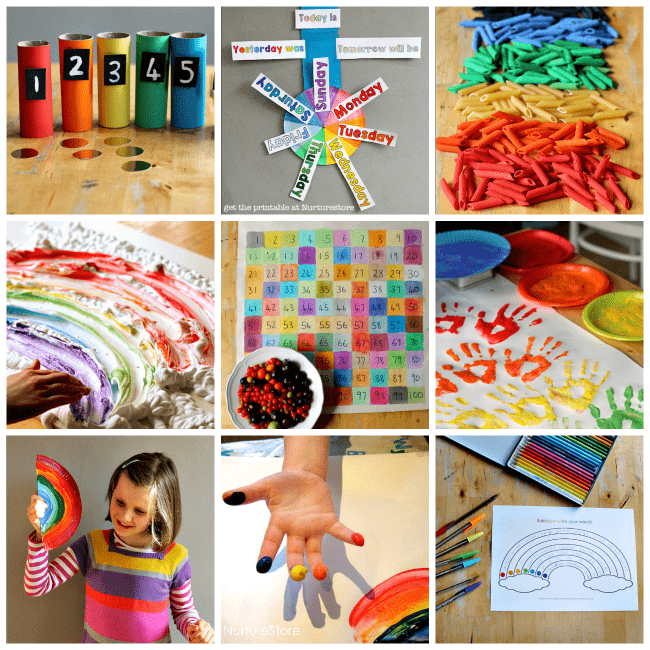 Print the rainbow alphabet cards and cut out the tiles. You might like to laminate the letter cards for durability. :: Shuffle the cards and lay them out face upwards. 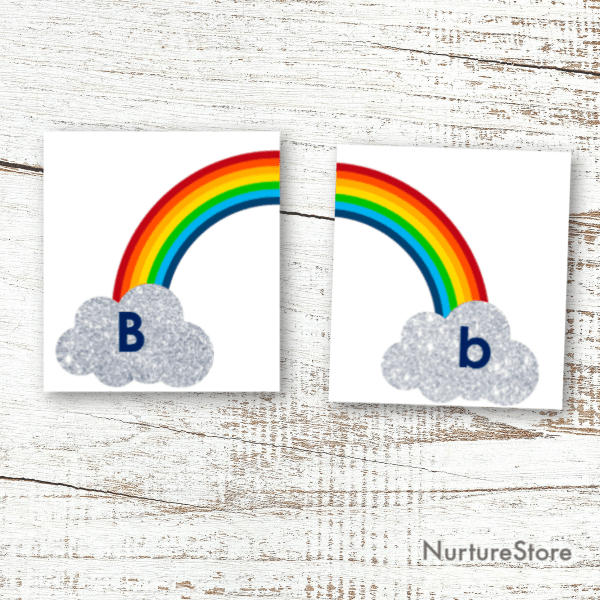 Invite your child to see if they can find the upper and lower case pairs and match them up to make rainbows. If you like to compete, see if you can complete the alphabet faster than last time. :: Place the cards face down and use them to play memory. Shuffle the cards and place them face downwards. Take turns to flip over two cards. If you reveal a matching pair, you get to keep them. If they don’t match, you place them back, face down. Keep playing until all the matching rainbows have been found. If you like to compete, the person with the most matching pairs can be the winner. This game continues to work on matching skills, but also on visual memory skills too, as you try to remember which letters are hidden where. :: You can add the letter cards to a rainbow sensory tub. :: Use the letter cards alongside a rainbow writing tray and practice forming the letters.